Nowadays, when the need for services based on the use of radio frequency spectrum is constantly growing, radio frequency spectrum supervision is becoming one of the most important aspects of radio frequency spectrum management. The purpose of supervision is not only to prevent unauthorized use of radio frequency spectrum and to protect authorized users, but it also represents a vital process which enables HAKOM experts dealing with planning and radio frequency harmonization to access measuring data. 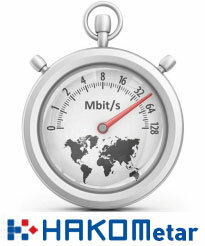 HAKOM performs daily control and supervision of the radio frequency spectrum. These tasks are performed via established measuring system consisting of 4 centres for control and measuring located in Zagreb, Split, Osijek and Rijeka, 8 remotely controlled stations for control and measuring and 5 measuring vehicles. Each part of the system is equipped with sophisticated measuring equipment capable of registering even very low frequency signals, as well as determining the direction from which the signal is coming. Measuring at several locations enables goniometering of the signal and locating the source of electromagnetic radiation. HAKOM performs expert supervision over the implementation of the Electronic Communications Act and other regulations adopted pursuant to the Postal Act.